Hashida Sushi is one of Japan’s premier gourmet sushi restaurants – currently headed by Master Sushi Chef, Tokio Hashida.With two decades of culinary experience under his belt, Tokio Hashida’s son, Kenjiro Hashida, better known as Hatch, (pronounced as Haa-chi) will be presiding over Hashida’s first overseas fine dining restaurant in Singapore. Himself a celebrity chef in Tokyo, Chef Hatch, a graduate of L’Ecole Tsuji Tokyo, Japan’s top culinary school, has apprenticed under his father since he was a child. Chef Hatch has developed an entirely new sushi dining experience for HASHIDA with an emphasis on exquisite seasonal produce in his repertoire. This inventive haute dining establishment at the Mandarin Gallery features premium and authentic Japanese sushi, served omakase style in a luxurious and intimate setting. 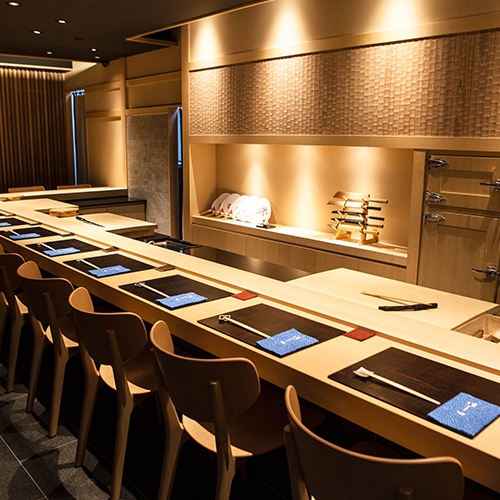 By integrating top-of-the-line food and service offerings with a philosophy to impress, Hashida Sushi Singapore promises to create an unforgettable lifestyle dining experience served to privileged dining connoisseurs. In addition to the traditional setting and auitheentic Japanese aroma the restaurant resonates, it is the art of sushi practiced by Master Chef Kenjiro Hashida that leaves diners with a culinary experience which is not only culturally intoxicating but also one which sparks all of their senses with excitement.